Hello everyone! 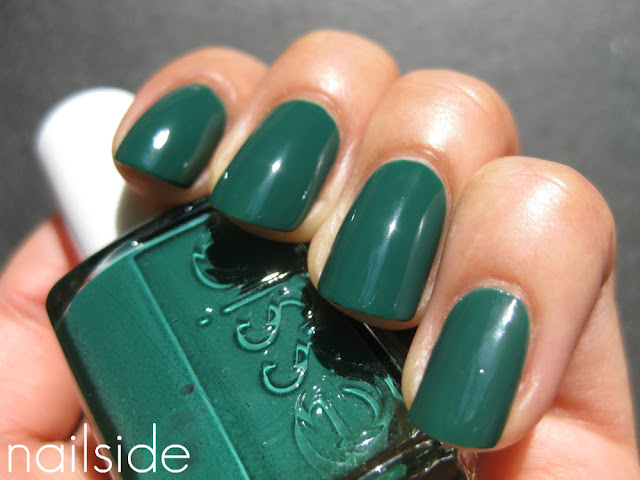 Today I'd like to show you Essie's Going Incognito from their 2010 winter collection. Since I have a weakness for everything blue, green and in between (teals and turquoises) it was no wonder that I needed this baby to be part of my collection. And that's how I ordered my first bottle of Essie. Lovely <3 I love a nice green on the nails. And yes the Essie formula is quite good isn't it? such a great, rich green! I know what you're talking about. I have a lot of polishes in my collection that I've been dying to get and haven't tried them yet. =) Looks great on you. Love the photos as well. weird colour, I like it! Hi Jane, we gave you also a little Blog Award today, because we love your Naildesigns. It's the Best Blog Award and you can see it also on our Blog if you like. I´m on holiday too. Just checking what you lovely ladies have been up to. Ohhh. I missed this one. 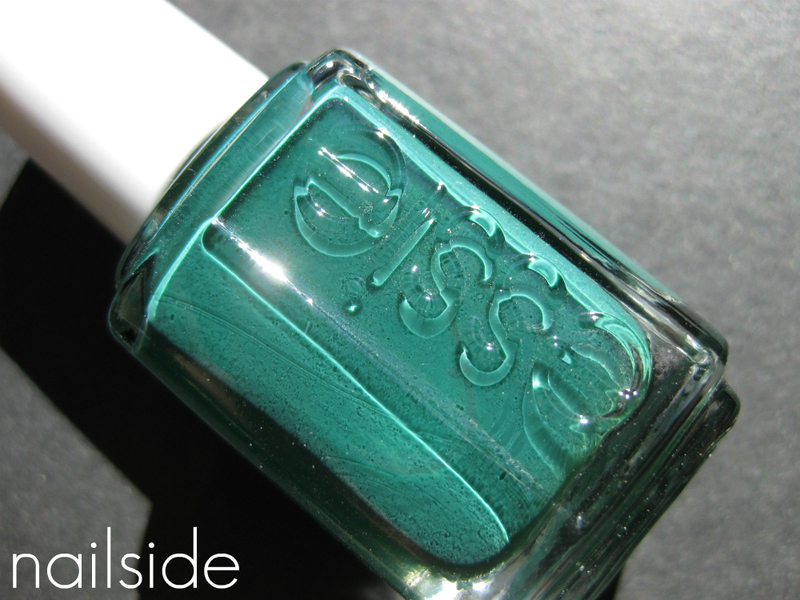 I just started to follow Essie big time again now that it's so widely available. I had to do my homework on collections as well as commit to memory the color names like one does when you really want to follow a brand. I know some are upset that Essie sold to L'Oreal. Myself, I have liked the shades I got this year and since I live in a rural area, it's a treat to go into our lone Rite Aide and actually see a polish that I would want to buy! Oh my gosh, I love this so much! What a gorgeous color. @Veronica, Bea and Solana: Thanks so much for the awards! I truly appreciate it! @beachgal: I didn't like Essie just a year ago, but it's really catching up these days! I can imagine what a treat it must be each time you visit the Rite Aide! I love greens and this one I definitely need to buy soon ... it's such a gorgeous colour!